For Yahoo! Messenger with Voice 8 users, it’s now possible to run multiple instances of Yahoo! Messengers (polygamy feature) and log into multiple Y!Msgr accounts with just a simple registry hack. So if you need to open and log-in multiple Yahoo! Messenger accounts as you have a few Yahoo! ID or various other reason, just use the small registry registration file below that once click, will modify and merge the registry setting required to run and execute multiple Yahoo! 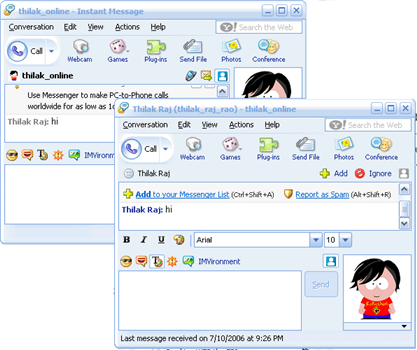 Messengers at the same time on a computer. Download ym8multi.zip, extract it and run “ym8multi.reg” contained inside the archive. Once the registry is patched, you can now starting and running multi Yahoo! Messenger with different login or Yahoo! ID accounts. If you want to uninstall the patch/hack, download the ym8multi_uninst.zip uninstaller which contains ym8multi_uninst.reg. Once double click on this uninstaller registration registry value file, it will edit the registry value and set it to disable the ability for Y!M 8 to launch multiple copy of instances. Then, on the right pane, right click on the registry editor and select New, then create a new DWORD registry value. Name the new registry key as Plural, and assign it the value of 1 (decimal). If some case, the value of 2 should also works. To disable or disallow multiple instance of Yahoo Messengers, simply change and set the “Plural” registry key’s value to 0, or delete the “Plural” key.